an insight in my thoughts during one of my latest projects. I hope you like what you can read here or maybe you got some questions. 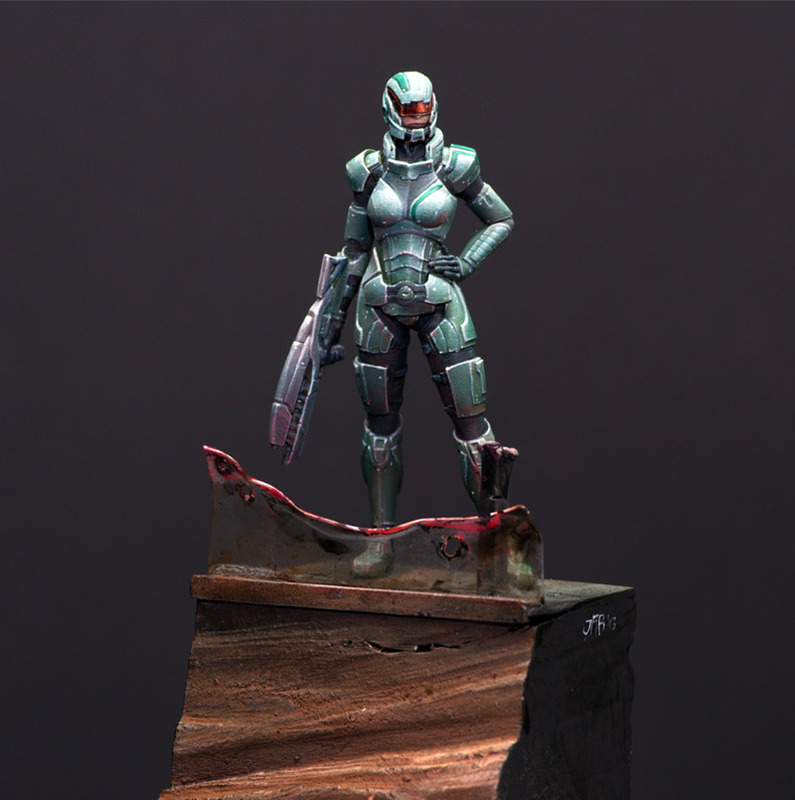 This little article is about a Sci-Fi figure from North Star Models. The "Female Galaxy Defender". You can find a Miniatures Unpacked here! Again this article won't show you precise colour recipes, it brings you my thoughts on the progress of the project. In my eyes a guide that shows you only colour recipes and techniques is good, but it also limits your own improvment as you might just copy in the end. Don't get me wrong here, I do love articles about the technical aspects of painting as they are very important, but the most important point to bring your painting further is painting itself, making mistakes, getting experience, improving by knowledge from yourself, not the one of others. So ... yeah, I'll just finish this blabla and head over to the girl that defends the galaxy. I start this article with an excuse. 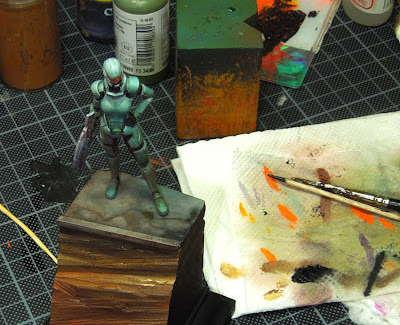 I was not able to take decent photos of the priming and the first steps of the painting. 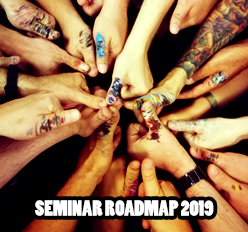 I showed in several articles how my projects start but very often I failed in showing you the detail work as my workflow struck me like a lightning. So this time, no starting work, but I'll try to keep an eye out for the final works. The first step shows you the figure after the first work. 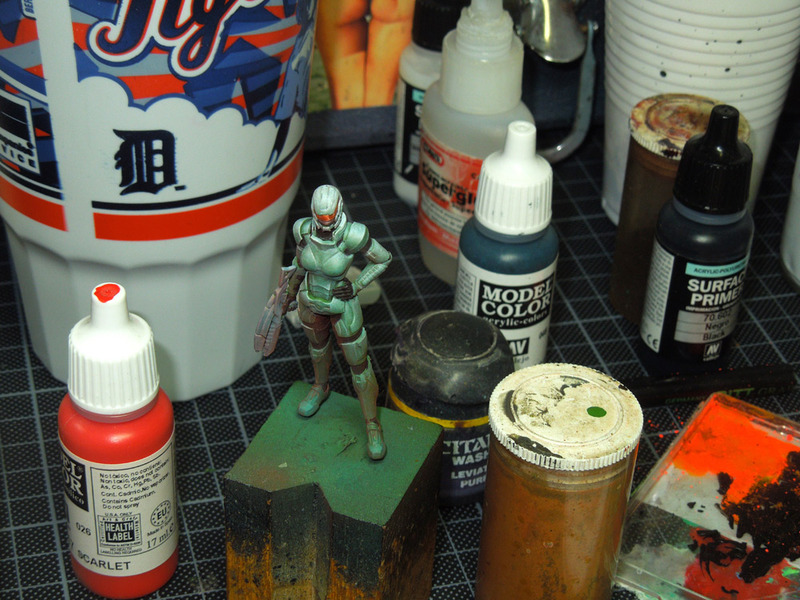 Starting work included bringing up a greenish basecoat to the figure via airbrush, a gentle brushwork start into the highlights in the upper areas, an orange face mask, still not sure where this will lead in the end, but as I do love surprises I follow the track. At this point I soon realized I was missing the base. As the figure is pinned to the working plinth it was easy for me to paint it without the base and put in onto a base to see the whole concept in the end. Yet, I had no idea what base to use. 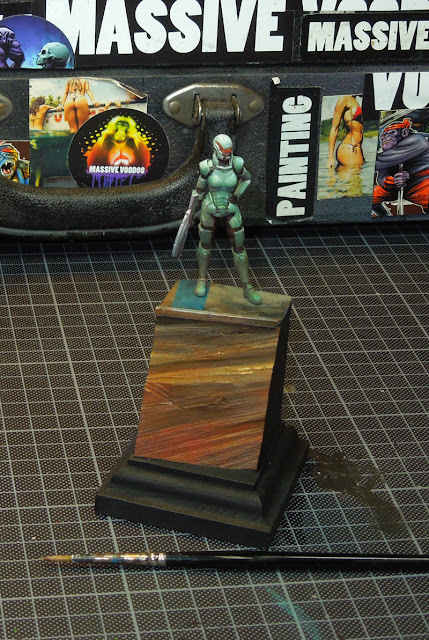 I was happy to find one of my unique plinths by Sockelmacher.de as a perfect match. 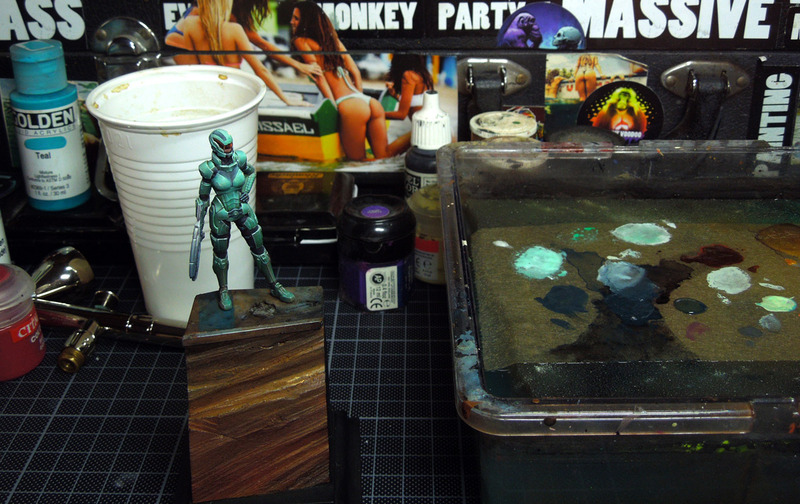 I build up a little area with plastic card on top of it and started to paint the cool wood area with the idea of a alien planet canyon valley. Some kind of space station where heavy fighting was ended just some hours ago. I was pretty happy bringing the figure and the base together for the first time, but still not half of the work on both of them was done. Meanwhile I did start with adding some gentle light to the figure's armour, slowly highlighting edges and areas. Slowly means I mix the brighter tone into my basic colour of the armour and do small brighter steps. Doing this for a while brings me closer to areas I like as they are getting as bright as I want them to be. Still, there are areas cleaner than others, so I have to work on those. 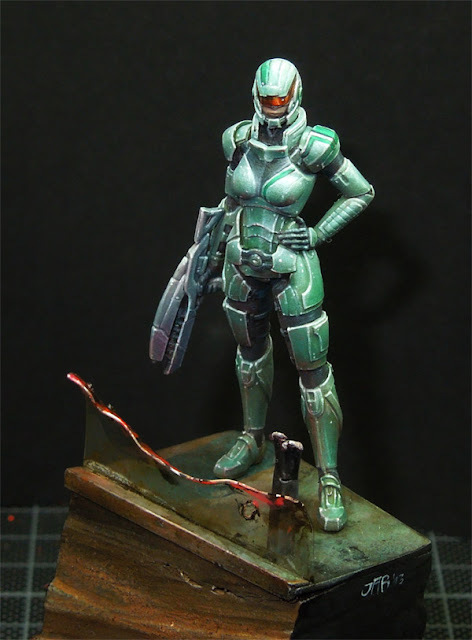 When working brighter on a figure I like to apply the same colour for several times on an area that is supposed to get brighter to intense the colour there. I do that with the use of glazes. I do one small brighter step for 2~3 times before I mix my tone brighter and do it once again in smaller areas. 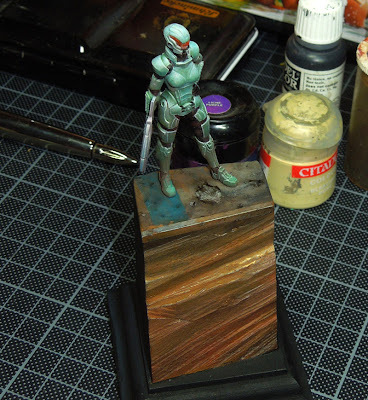 Problem is if you don't do so: While using glazes the first apply might look unclean. If I would do a second one quickly after the first one I always will carry these unclean areas and will have problems in the end for a clean end result. So I am cleaning up in the small steps I do to avoid that. I apply on clean areas. I hope you understand what I mean. 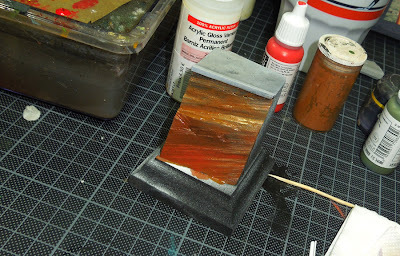 Also, with applying the glaze several times the colour gets more intense. Both effects are great when working into light. If the area gets to bright, which means it looks chalky I use a glaze of my green/blue basic colour again to bring it back to the colour I want it too look in the end. This might result in working on the lights again. Wax on, wax off all the time! The orange of the face mask gets some dark areas, painted with pure black to work out the glass reflexions in the end. I also put some weathering to the base. Just a simple start to get a better picture of the final scene. The next steps includes the ones before again and again. Boring? Yes, definatly, but rewarding if you take your time. The areas where I put some light becoming smaller and smaller until they are only edge lights and small dots. If you take your time with that the figure gets more and more structured for the eye. Bringing in more sharpness to the figure due the use of contrast. green more interesting and bringing it all together. A little freehand has been painted to the armour. Wax on, wax off still on the armour parts. The base did recieve some melted "Space Station glass front", which got destroyed due the heavy fighting. You can now see also some final lighg spots which show the material's light reflections better. For the final steps - those where you can see the light at the end of the tunnel - I cleaned up the areas more and more with gentle basic tone glazes, intensifyied a light or shadow here and there. Still this stupid "wax on, wax off" procedure, but as I told you it is rewarding in the end. Also decent photos were made as those before where just done during the work on the table. You see the colours changed a bit. 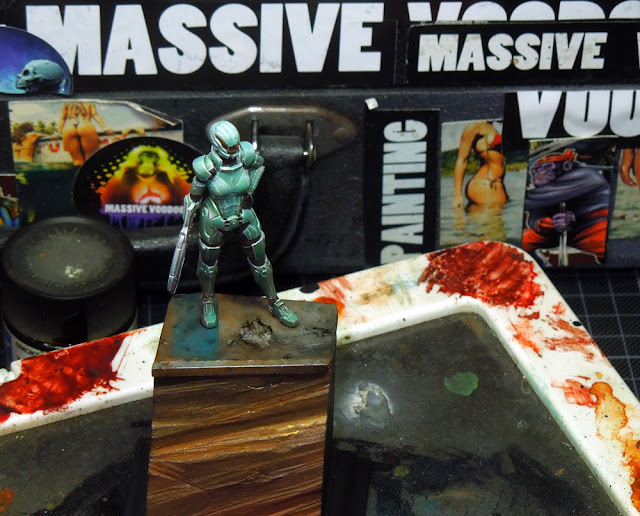 The reason for that is that on my workbench figures look strange as the shots where done with a normal camera, quick, without setting things right afterwards. The following photos are done by Raffa with ultra-super equipment and a good light situation. This also takes a while and might be a topic for a new article someday - or you just check Miniature Mentor's Guide to do good photos. See Putty&Paint for more photos! As I never tried to really bring my detail work to written words so far I personally think this article in combination with the photos comes handy for some of you outthere. I will try to keep my eyes open and my camera ready while working on future projects to explain this even deeper. I hope you - our readers - did understand some of my, in my eyes, weird explanation tries. Let me know what you think, let me know if this helps you and let me know your questions. i am a Galaxy Defender backer is this the kind of figure that i will be getting? I like the small dots. Great way to add some detail without adding too much chaos. This is a great job, I already loved it as I have seen it with my own eyes an a workshop. The fist pic would be so my desktop-wallpaper it is Great! Do you have it in approximately 2560 x 1440 pixel?